One of the many draws found within Ascend: Hand of Kul is the perpetual hunt for its arsenal of equipment. Each piece is stylish and dramatic, ranging from infernally horned helmets to suits of full plate, crackling with divine energy. That urge to find the perfect weapon or piece of armor to compliment your champion’s look might be half the fun, but it’s important that your gear serve a purpose. There’s no point in being the best looking Caos if you’re dressed for failure – substance over style is the name of the game. With that in mind, there are two major points to consider when choosing how to outfit your would-be champion. Power over pageantry – Equipment in Ascend is divided into two categories: weapons and armor. You’ll find this equipment locked away in chests throughout the world, and purchasable at any time from the store located in the menu. All equipment falls into one of six qualities, which are color-coded as: grey, white, green, blue, purple and gold. Collecting the best qualities will serve you better in your quest for power, but like your Caos, equipment also increases in effectiveness at higher levels. Consider whether or not spending your hard-earned souls on that purple two-handed mace will serve you in a few levels, when you’re finding higher level items that are statistically better despite being lower quality. Unless you’re going to climb to the maximum level and stay there, you’ll never “max out” your equipment – don’t consider any piece a permanent fixture of your character. Keeping up appearances – In the world of Ascend, nothing is sacred. It’s no surprise then that your equipment gradually loses durability with use. In order to keep your gear in working order, you’ll need to repair it from time to time by spending souls to replenish its durability. Remember, the higher the equipment’s level and the better its quality, the more expensive it will be to repair. This fact works against you in the beginning as souls are harder to harvest than in the later stages of the game. It’s important to strike a balance when it comes to leveling along with your gear; sometimes it’s cheaper to just ditch an item completely than pay a hefty repair bill. Don’t get too attached to any one piece of equipment, because as long as you’re gaining levels, so are the weapons and armor you’ll encounter. With the new addition of the Forge, located in The Sanctum, players can automatically repair their equipped weapons and armor at a rate of 2% per hour, whether you’re online or offline. This is a great way to have your cake and eat it too, allowing you to repair costly high-value equipment without sacrificing your hard-earned souls, as long as you’re willing to take a break from Ascend. Ascend: Hand of Kul features an enormous array of weapons, but they all break down into three categories: fast weapons are one-handed with a short reach and the least amount of damage; medium-sized “hybrid” weapons balance an average speed, reach and base damage; slow weapons are two-handed monstrosities that lack the swing speed of the other classes but make up for it with the greatest reach and the most damage per swing. Each category has a unique attack style that carries its own strengths and weaknesses. You’ll want to experiment with what suits you best, but below you’ll find a list of each weapon type’s combinations, along with some suggestions for effectiveness. For a complete list of Weapon Runes, head to the Items section of this guide. The Fast & Short category is comprised of one-handed weapons, and while they might not be the most intimidating things in the armory they certainly have a place in Ascend. Their quick light attacks coupled with the impressive speed of their dash attacks allow players to skirt around combat and rain down strikes on enemies, usually avoiding incoming attacks with preemptive swings in all directions. However, they suffer against enemy types that regularly block, as striking a blocking enemy with a light attack will stagger you, leaving you vulnerable at a dangerously close range. Similarly, it can be difficult to close the distance against enemy Ascended Champions, which regularly block, and usually carry a weapon with greater reach. X, Y – A single swing followed by a frontal kick. X, X, Y – Two swings followed by a powerful frontal horizontal swing. X, X, X, Y – Three swings followed by a powerful area-of-effect one-handed slam on the ground. X, X, X, X, Y – Four swings followed by a more powerful area-of-effect two-handed slam on the ground. Dash (RT + X), X – Long lunge with light horizontal swipe. Dash (RT + X), Y – Leaping heavy upward swing. Quick Tips: Fast weapons are ideal for building combos, whittling down slower enemies between long attacks or making the most of chance-to-hit runes like flame, frost, lightning and explosive. Because of their speedy attacks, using fast weapons in combination with [Dash, X] is the absolute quickest way to get around in Ascend. When using fast weapons, it’s best to play to their abilities by stacking runes that proc effects on each hit. Lightning or Explosive runes work well to interrupt enemies charging up long attack animations, while Runes of Smithing, which increase critical hit chance, are also a great way to maximize damage potential with fast weapons. At the end of the day, stacking three Runes of Speed might be the most effective use of your fast weapon. The increased speed will have you dishing out ridiculously fast light attacks to quickly build your combo multiplier as well as an increase to your dash attack for blazing speed in and out of combat. Hybrid weapons almost exclusively consist of swords that are held one-handed but swung with two. They neither have the speed of fast weapons nor the power of slow weapons, and carry the distinction of having the most inefficient dash of any weapon category. It’s no surprise that you’ll often see these weapons in the hands of Caos who specialize in magic, as they don’t rely on their weapons for the bulk of their damage output. Still, it’s nice to have a weapon with some reach when you need to quickly break an enemy guard with a well-timed heavy attack. X, Y – Single swing followed by a quick thrust. X, X, Y – Two swings followed by a powerful horizontal swing. X, X, X, Y – Three swings followed by an area-of-effect stab into the the ground. X, X, X, X, Y – Four swings followed by a powerful lunging horizontal swipe. Dash (RT + X), X – Short slide with light horizontal swing. Dash (RT + X), Y – Medium slide with heavy vertical swing. Quick Tips: Hybrid weapons aren’t ideal for any role in Ascend, but they adequately serve in most. Consider using these weapons if you like a longer reach but don’t necessarily care about the amount of damage you deliver with each swing. Remember, dash-attacking with these weapons is the least efficient way to get around, so you may want to avoid using a hybrid as your main weapon if you’re concerned about how fast you get from one point to another. When using hybrid weapons, there are no melee strengths you can emphasize with runes and therefore these are least effective weapons when focusing on melee damage. For this reason, Runes of Magic are the go-to choice for most hybrid swords you’ll see in the hands of enemy champions. Their moderate reach and speed allows a player focusing on spell damage the opportunity to deliver faster guard-breaking heavy attacks than a slow two-handed weapon, while still getting the increase to magic damage with Runes of Magic. You could also slot Runes of Speed to enhance that aspect of a fight, though there are better weapon/rune combinations out there. Additionally, a Rune of Frost to slow the enemy or a Rune of Flame to deliver damage-over-time can work if you’re using hit-and-run tactics to create space. 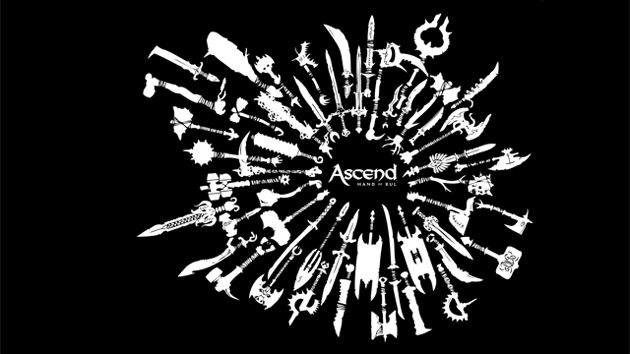 Slow & Long weapons are made up of the two-handed axes, polearms, maces and hammers; the heavy hitters of Ascend. They excel in dealing massive melee damage at a long range but suffer from reduced swing speed. For players who want to pulverize enemies with heavy strikes or clear large groups of enemies from a relative safe distance, this is the category for you. X, Y – Single horizontal swing followed by powerful horizontal swipe. X, X, Y – Two swings followed by a 360 degree cleave that can connect twice. X, X, X, X, Y – Four swings followed by a massive leaping strike into the ground, dealing damage twice in an area around the player. Dash (RT + X), X – Medium slide with a light horizontal cleave. Dash (RT + X), Y – Long lunge with a heavy thrust. Quick Tips: Heavy weapons are about damage and reach, and it’s best to use them as such. Focus on blending heavy attacks into your attack chains to emphasize each hit, since you’ll regularly have to cancel a swing in order to block an incoming enemy attack, or take the hit and lose your combo. For larger groups, the [X, X, Y] combo delivers two swings in a circle around your Caos, creating space and clearing out enemies attacking from behind or the sides. For larger enemies, a slow weapon’s [Dash, Y] attack is the most damaging dash attack in the game and recovers fairly quickly, allowing you to close distance, deliver your heavy attack and dash out before getting caught. Let’s be real, if you’re using a two-handed polearm shaped like the Grim Reaper’s scythe, you’re doing it to make a statement. Load that thing up with Runes of the Titan for a 21 percent bump to melee damage, or substitute Runes of Strength if you don’t want to commit those souls to a weapon you won’t be using for a long while. This weapon category is all about damage, and playing to that strength is never a bad idea. Alternatively, you could opt to slot Runes of Smithing for devastating critical hits that inflict double damage when the effect occurs. With a high-level, high-quality heavy weapon, the damage potential of a critical strike is incredible, which is especially useful if you’re having to dash in and out of melee range from some of the larger enemies. 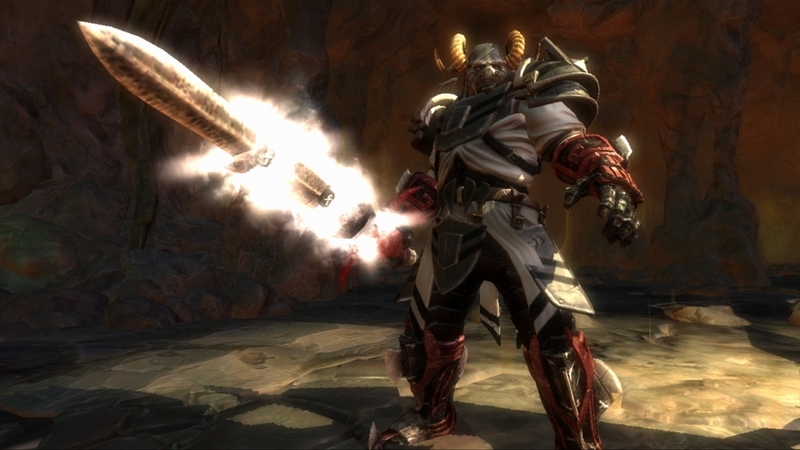 The vast majority of equipment you’ll find and purchase in Ascend: Hand of Kul comes in the form of armor to protect against all manner of damage and death. The four different pieces of armor are classified as: helm (head), armor (chest), gauntlets (hands) and boots (feet), but unlike weapons there are no functional categories – it all does the same job. Since there’s little in the way of functional variety to armor, there isn’t much customization to consider outside of its look. Still, your armor’s durability decreases depending on the amount of damage you take, so there are a few important points to remember when choosing the only thing standing between you and the club of a rampaging ogre. Another difference between weapons and armor are rune slots. Unlike weapons, which can come with up to three slots, armor pieces only allow for a single rune – the only exception being Gold quality items which allow for two. Armor runes are the only way to customize the functionality of armor, allowing you add magical resistance, dodge chance, extra health or more physical protection. Head over to the Items section of this guide for a complete list of each armor rune, but below you’ll find some quick and dirty tips for slotting armor. Physical Protection Runes – Nearly all of the damage aimed at your champion will be of the physical variety. This is good news, because your armor rating already mitigates physical damage and you can increase it with some handy runes. A Rune of Protection, or better still, a Rune of the Tower, enhances your overall armor rating and is essentially the most versatile and valuable choice when leveling in Ascend. You’ll have increased protection from most attacks, and the reduced damage when you do get hit means your gear loses less durability, saving you souls over time. On a long enough timeline, these runes pay for themselves. Magic Protection Runes – Magic in Ascend breaks down into five elemental groups: Dark (fire), (Void) frost, (Light) lightning, Acid and Non-Alignment. Light, Dark and Void are fairly self-explanatory – they are tied to their elemental damage and Runes of Extinguish, Warmth and Grounding protect against that elemental damage with a chance to completely negate spells of that alignment. Acid is introduced in the Arkan Moors, which houses enemies that can be lethal thanks to the poison they apply to you with each hit, though you’ll almost never need the Rune of Cure if you’re careful. Non-Alignment magic is everything else cast by enemies that aren’t alignment based – you’ll encounter it primarily against the floating Witch Doctors. Rune of Magic Shell can be useful if you’re finding yourself picked off from afar by troll casters. 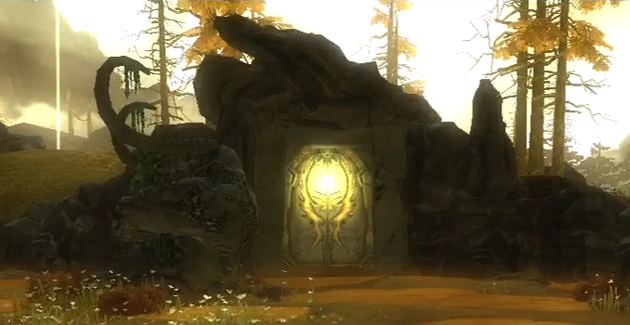 Effect Runes – These are the runes that boost aspects of your champion without directly increasing protections. A Rune of Health boosts your overall HP, which can be nice, but doesn’t give the added bonus of mitigating damage and therefore protecting your armor durability. Rune of Dodging can be fantastic, as each rune adds 5% chance to completely evade an attack – it’s great for farming, as when you don’t see an attack coming there’s still a chance you’ll keep your combo. Experiment with what works best for you, remembering that if you’re taking damage, so is your armor which can become costly as you begin wearing equipment of higher levels and better qualities.